Personalized art, created just for you. You love and appreciate my work, but you want art customized to capture a memory, fit your decor colors, or most often the perfect size for a specific spot in your home or office. You can have it! Stop trying to make it fit! Get the art you want the way you’ve always imagined it to be. You have been looking for the perfect piece of art that reflects your unique vision, but you can not seem to find it. A commissioned piece is the perfect solution. 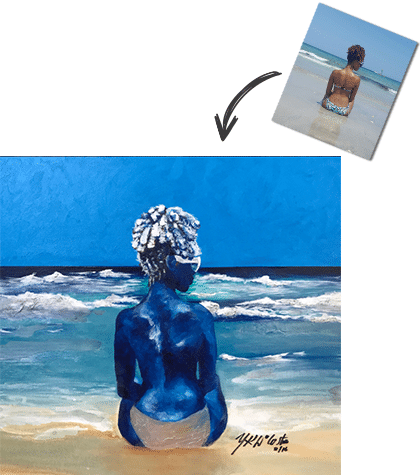 No matter if you are a first-time art buyer or a seasoned collector and ready to make your vision a reality YaniPaints is here to make the process easy and enjoyable. 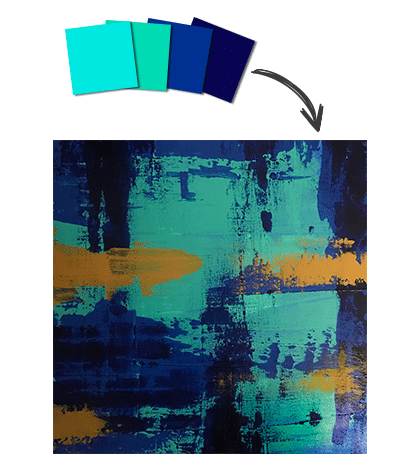 Provide a photo of your room, a Pantone color, or share a link to your furniture and receive original art that matches your decor. Provide a photo of yourself, you family or your pet and receive an original piece of art that captures you or your family in a new way. *Purchase does not give client publishing, reproducing or copyright authorization of the artwork for financial gain. YaniPaints is a fine artist that has a proven track record of bringing a client’s vision to life. She is creative, resourceful and knows how to give you exactly what you are asking for. As a proactive and forward thinking fine artist, she has done pieces to beautify corporate offices, commemorate professional athletes and celebrate families. These pieces have exceeded expectations over the years and will continue to do so with your custom piece. For more information contact info@yanipaints.com. 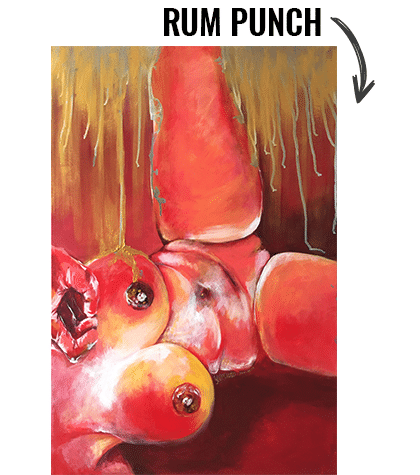 Get the art you really want. Commissioned pieces are priced based on the size, medium, and complexity of the piece, and the artist’s sales history. Commissioned artworks will be more than comparable pieces in the artist’s portfolio [in terms of size and medium]. This is due to the fact that the artist must spend time to consult with you about the project, create any necessary preliminary sketches, and take time away from their normal art practice to create your commission. Will I have an idea of what the piece will look like prior to completion? There are no surprises and the invoice spells out the details very clearly. The time varies, depending on the size, the details of the piece, and YaniPaints’ own schedule. Typically you should count on 2 – 6 weeks for completion, however it may be longer depending on the YaniPaints’ schedule. Will the YaniPaints work from my photograph? In most cases – yes, however YaniPaints may determine her own reference material for the creative design of any commissioned work. For pieces larger than 36×48”, you will have the opportunity to approve sketches and the direction of the final artwork. In some cases, where possible, the artist may conduct an in person photo shoot. Will YaniPaints duplicate an existing piece of their portfolio? Yes to some extent, however YaniPaints desires to maintain the integrity of the unique quality of each original piece she creates. 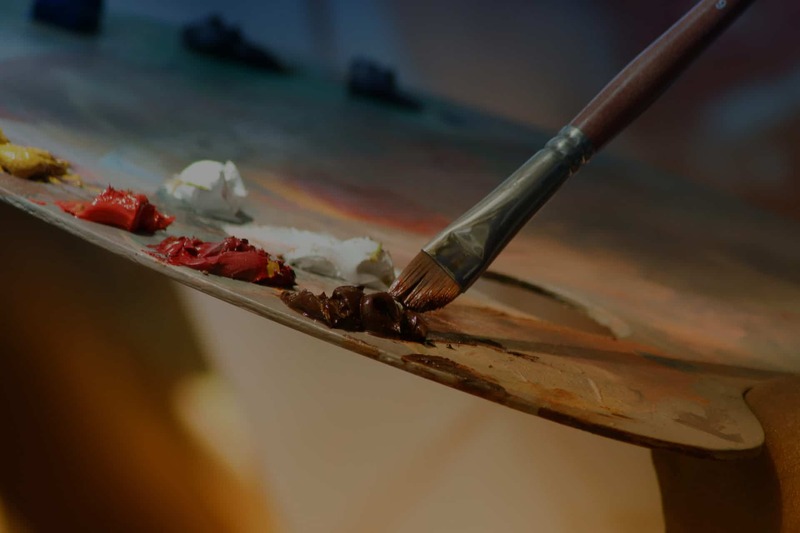 When dealing with original artworks there are NEVER exact duplicates, however an artist may mirror the concept, colors and subject matter in a similar artwork. May I visit with the artist to meet and discuss ideas? No, however you may schedule a 15 minute video call to discuss the ideas by emailing info@yanipaints.com. May I return a piece of commissioned artwork if it does not meet my expectations? There are no returns once you take possession of the art. 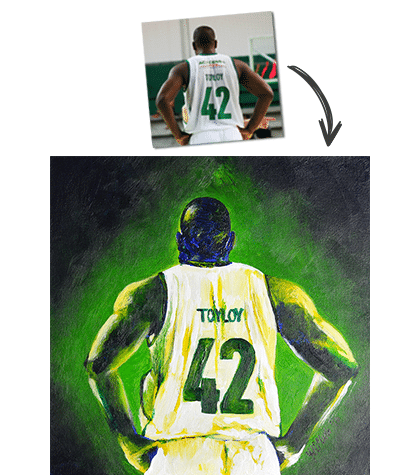 Once the piece is complete, YaniPaints will send you a high resolution image of the work. If for some reason you are not entirely satisfied when you see the image, YaniPaints will make small changes to accommodate your needs. YaniPaints packages all artwork in custom built art boxes to insure safe delivery, so receiving damaged art is a rare occurrence. If you receive a damaged piece of art, email photos of damage to info@yanipaints.com within 24 hours. Please save the box and all packaging material; I must have these items in order to process the claim. YaniPaints proudly offer free shipping to any location in the United States. Free shipping is automatically applied – no minimum purchase, coupons or promotion codes are required. Yes. YaniPaints is happy to ship artwork to any destination in the world. Please note, artwork may be subject to duties, taxes and/or fees. Please consult your local customs office for more details about duties and taxes. Before the YaniPaints begins working on your commission, we take a 50% non-refundable deposit. This assures that the artist will be paid for her materials. Once the piece is complete, YaniPaints will send you a high resolution image of the work. If for some reason you are not entirely satisfied when you see the image, YaniPaints will make small changes to accommodate your needs. The remaining 50% balance is due prior to delivery of the piece to your residence or business. Yes, payment plans are available upon request. Email info@yanipaints.com. YaniPaints accepts Visa, MasterCard, Discover, American Express and PayPal. Does YaniPaints provide framing services? Your are unique, your artwork should be too.